How can Japanese popular culture gain numerous fans in China, despite pervasive anti-Japanese sentiment? How is it that there’s such a strong anti-Korean sentiment in Chinese online fan communities when the official Sino-Korean relationship is quite stable before 2016? Avid fans in China are raising hundreds of thousands of dollars in funding to make gifts to their idols in foreign countries. Tabloid reports on Japanese and Korean celebrities have been known to trigger nationalist protests in China. So, what is the relationship between Chinese fandom of Japanese and Korean popular culture and nationalist sentiment among Chinese youth? 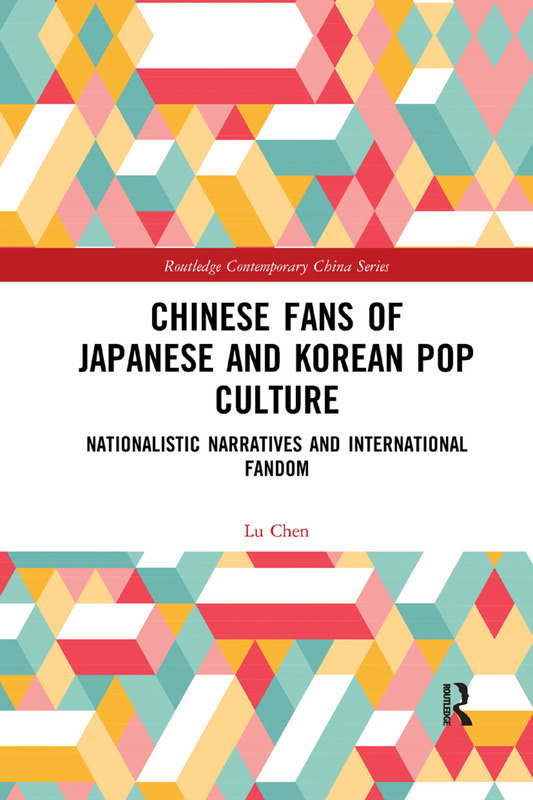 Chen discusses how Chinese fans of Japanese and Korean popular culture have formed their own nationalistic discourse since the 1990s. She argues that, as nationalism is constructed from various entangled ideologies, narratives, myths and collective memories, popular culture simply becomes another resource for the construction of nationalism. Fans thus actively select, interpret and reproduce the content of cultural products to suit their own ends. Unlike existing works, which focus on the content of transnational cultural flows in East Asia, this book focuses on the reception and interpretation of the Chinese audience. Lu Chen assistant professor in the Faculty of Journalism and Communication, Guangzhou University, China.